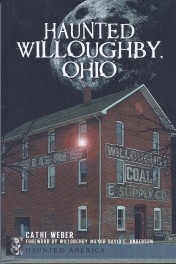 Behind the ghost tales of Willoughby are local folklore, the long memories of residents and even the strange but hard facts of history. 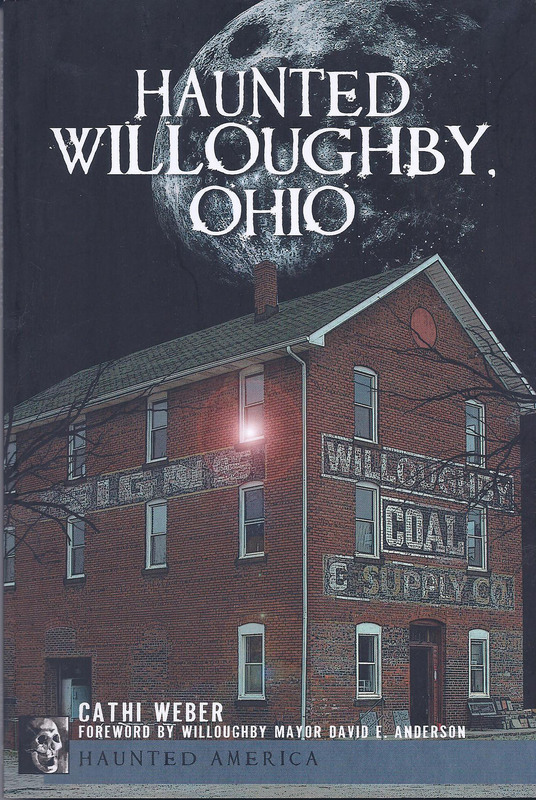 This collection of haunting lore covers stories of Willoughby Cemetery, where the Girl in Blue’s restless spirit lingers near her grave, and rumors of Willoughby Coal and the menacing apparitions that peer from its darkened windows. Sites covered also include the buildings of the Cleveland, Painesville and Eastern Railroad Company; The Homestead House B&B, The Indian Museum of Lake County, ghastly tales of body-snatching from Willoughby Medical College, the home of Dr. Phrania Chesbrough, now a bank, Willoughby Masonic Temple, Van Gorder Manor and the Willoughby Public Library. From ancient Whittlesey legends and echoes of events that have shaped the course of the town to tales of the tragic and bizarre, local ghost expert Cathi Weber explores the traditions, spooky heritage and true stories that are part of Willoughby’s high-spirited history.